This is the first movement of J.S. Bach's Flute Sonata in E-flat arranged for Tuba and Piano by Floyd Cooley. This recording is from David's Guest Artist Recital at the University of Wisconsin-Madison on Nov. 10, 2015. This video is David's arrangement of Dumitru Ionel's Rumanian Dance No. 2 for Solo Tuba and Wind Ensemble, and features David as soloist with the UW-Platteville Symphonic Wind Ensemble. 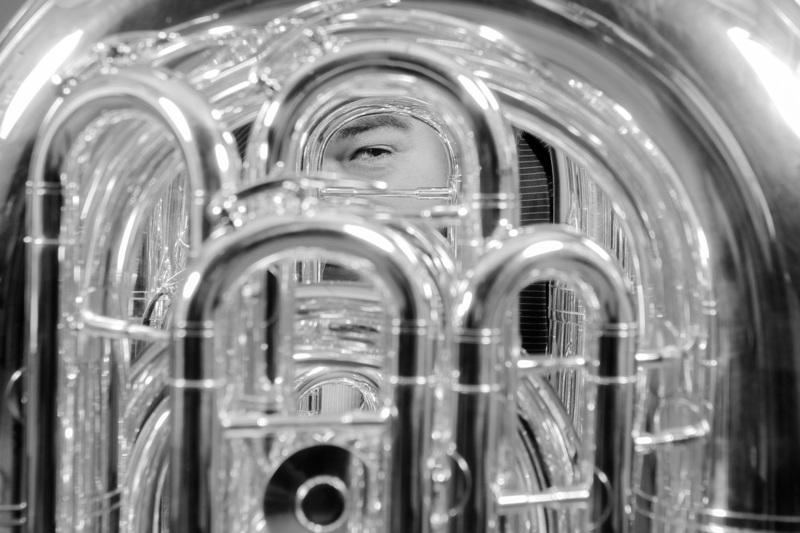 This is the third movement of the James Barnes Tuba Concerto, and was recorded during a Visiting Artist Recital at the University of North Georgia on May 20, 2016. This is the first movement of Rolf Wilhelm's Concertino for Tuba and Wind Instruments (I. Moderato deciso) featuring David as Faculty Tuba Soloist with the UW-Platteville Symphonic Wind Ensemble. This evocative performance is "My Mountain Top" by composer Andy Scott with narration by Lemn Sissay. David performed this at the UW-Platteville Faculty Gala, and dedicated this performance to his Tuba, Euphonium, and Trombone students. Recorded at the University of Wisconsin-Platteville, "Tapestry III for Tuba & Tape" by James DeMars is an outstanding work for solo tuba. David also featured this work on his tour throughout Europe in 2014.